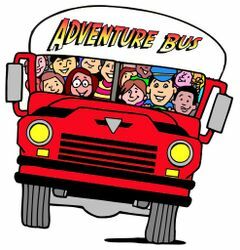 Hosted by Adventure Bus S.
8:55am. Keele TTC Station, or 9:25am. York Mills TTC Station Kissn' Ride area, on Old York Mills Road, one block south of York Mills behind Shell Gas Station Car Wash.
the amazing Bruce Trail / Rattlesnake point Guided Hiking Adventure Bus Day Trip, only $39.95 + tax. - Bus Pick-Up: 8:55am. Keele TTC Station, in front of Station. - Bus Pick Up: 9:25am. York Mills TTC Station: At the "Kiss n' Ride" exit of the station, on Old York Mills Road, one block south of York Mills, behind Shell Gas Station Car Wash. Hop aboard our Adventure Bus at any of our 2 Toronto Pick Up/Drop Off locations, York Mills & Keele TTC Stations and sit back and relax as we whisk you away for a day of hiking on Ontario's famous Bruce Trail. Ontario's Bruce Trail was originally conceived in the 1960s and was the biggest scale footpath in Canada at the time spanning all the way from the entire Niagara Escarpment to Tobermory. The section of the Bruce that we'll be hiking is located about 45 minutes from Toronto and is a scenic hike that brings us through a densely forested valley before we hike up to walk along the top of one of the Niagara Escarpments many scenic ridge lines allowing us glimpses of the beautiful forest canopy below. A Great way to learn, socialize, and have fun! - Transportation to and from the hike from either of our 2 Toronto locations. - Guided Hiking Adventure led by our experienced Guides. - A Great way to Socialize, Have Fun, and Enjoy the Great Outdoors! - Bring comfortable footwear for hiking. - Sunscreen & Sunglasses are recommended, even on cloudy days! - Packed lunch and Water Bottle. - Couple bucks to purchase snacks at our stops on our way to and from the event start. Security Question: Day trip happening on June1 is?